PDiddy-Puff Daddy-Diddy dude step aside, as THIS is the kind of D.I.D.I. initiative that I want to see out there!!! D.I.D.I. stands for Dream It. 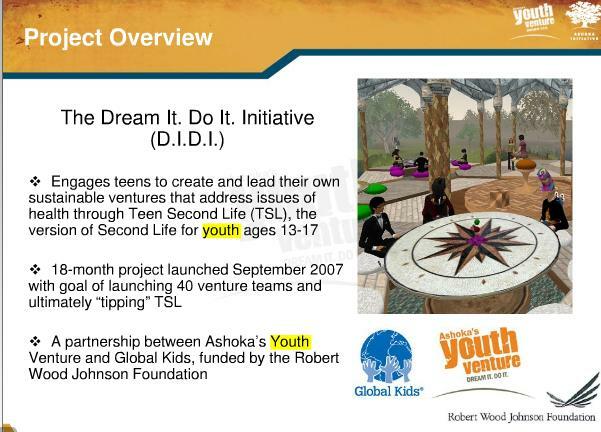 Do It…An Ashoka Youth Venture effort with Global Kids and funding by RWJF all teaming up to offer seed money to visionary young people anxious to bring positive change to the health of their community! Parents might wig out at the fantasy beasties and wild virtual expressions of teen personas at first, but once you get to know the essence of what they’re up to, it sure as heck beats “decorating a room” with fashionista bling and vapid acquisition taking place in some of the commercial teen worlds. This screenshot at left, for example, is part of “Using visual art for political change” so consider Global Kids/Teen Second Life the ‘thinking youth’ hub for more meaningful content…To get a snapshot of some of the collaborative learning transpiring, visit the community of educators hanging out and sharing best practices at RezEd.org. RezEd recently came out with a 23pp pdf report on refreshing ways virtual learning accomplishments have taught the teachers as well as the kids…it’s an eye-opener in some of the advancements and simulations of behaviors, ethics, social skills, and interpersonal relationships that go far beyond any school setting. I’ll do a follow up on their report soon, but meanwhile, while you’re there, take a peek at Global Kids’ free learning curriculum to get a feel for the vast potential of integrated advancements in virtual worlds and read up on the cost-saving concept of this D.I.D.I. grant idea. It’s much like HopeLab accomplished with Ruckus Nation brainstorming to get kids moving!!! Hmn. Maybe I’ll submit it to RWJF, THEY seem to have the research bucks to fund some Health 2.0 digital innovation! Meanwhile, I encourage ALL youth and youth advocates to jump into this little ditty of a DIDI to become social entrepreneurs both online and off in your communities. Can’t wait to hear what the kids come up with!! October 22, 2008, New York, NY — This fall, Global Kids and Ashoka’s Youth Venture are excited to announce opportunities for teens and young adults to receive $1,000 in seed funding and social entrepreneurial training through the Dream It Do It Initiative in Second Life. D.I.D.I. seeks to utilize the connecting forces of these virtual worlds to empower young people to implement sustainable projects that will bring positive change to their communities’ health. Through January of 2009, the D.I.D.I. 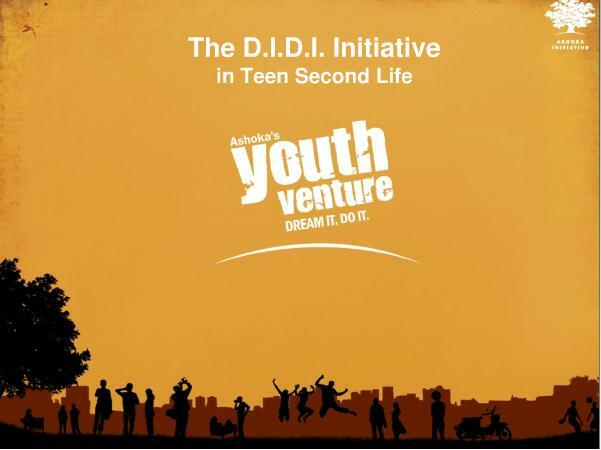 Initiative is supporting teams of young people to launch their own ventures that benefit their communities, either within or outside of Teen Second Life. A venture can be a club, organization, business, or program that is ongoing and benefits the community. With the D.I.D.I. Initiative’s support, each team of youth develops an action plan to design and launch their own social entrepreneurial projects. To get started, email [email protected] or contact Coreina Grace in Second Life to receive your D.I.D.I. Action Plan Toolkit! The D.I.D.I. Initiative is made possible with generous support from the Robert Wood Johnson Foundation. 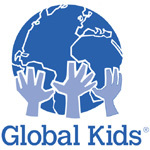 Launched in 1989 and independent since 1993, Global Kids’ mission is to educate and inspire urban youth to become successful students and global and community leaders by engaging them in socially dynamic, content-rich learning experiences. Global Kids, Inc. is a nationally recognized leader in using digital media to promote global awareness and youth civic engagement. Global Kids’ Online Leadership Program (OLP) integrates a youth development approach and international and public policy issues into youth media programs that build digital literacy, foster substantive online dialogues, develop resources for educators, and promote civic participation. Currently, the OLP is accomplishing its goals through initiatives within four broader areas: the development of socially -conscious online games; youth-led online dialogues; Virtual Worlds; and the Digital Media Initiative. Ashoka’s Youth Venture leads an international community of young people who are powerful now, changemakers now. 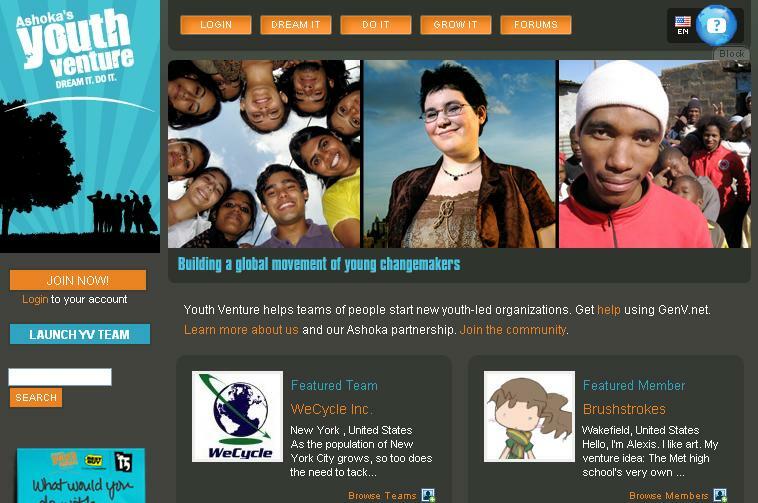 Youth Venture inspires and invests in teams of young people to create and launch their own sustainable, community-benefiting Ventures and then connects them into a global movement of young changemakers who are together redefining the youth years as a time of leadership and positive social change. This is the foundation of an Everyone a Changemaker™ world – the key factor for success in every part of society. Who are the youth? what are the likings? what influences them? whom do they listen to? what do they enjoy most? what do they do on their free time? Fact: The Kenyan youth have unique challenges, living in a fast growing economy, a consistently widening haves-have-not gap, equipped basic education BUT Jobless hence poverty is rife, de-motivation, democracy threatened and crime on the rise BUT creative youthful population who have no means to acquire skills with the trainers. They are ages 14 – 35 years of age, inspired by media productions and hope to join the production fraternity for employment or self employment. This has presented the need for qualified and passionate youth for employment and self employment intermediaries. Use of appropriate technology to achieve talent driven editing activities since poverty increases vice, violence and disintegration of democracy. The circumstances surrounding the majority of Kenyan youth especially in urban informal settlement creates a breeding ground for vice, drugs abuse, disintegration of democracy by voters bribing, political violence like experienced in January 2008 after 2007 December poll elections, crime and corruption whenever the chance presents itself. The Media is a perfect solution solver as it is gender sensitive (boys and especially girls to avert them from the vicious circle of early pregnancy, HIV & AIDS, prostitution and a slum life for ever lifestyle). Creates employment, creates down-up information or video documentation to sensitize the ways of life in the informal; or less fortunate population both locally and internationally, keeps the youth busy and boosts enterprises from the Small and Medium Media companies setup by the former media students. I. To help the youth tap their talent and make ends meet, due to the increasing high rate of unemployment which has an effect of increasing vice to downplay frustration e.g. prescription drug abuse e.g. valium and hard drugs e.g. brown sugar, cocaine, heroin, cannabis sativa “bhang” and designer drugs e.g. ecstasy, mandrax etc. II. To reach out to the youth with great impact and entertainment value and sensitize the message of virtue before during and after the outdoor activities. V.	To embrace the new changes in media at the benefit of the youth, changes being, over 15 TV stations, including one purely music video channel and over 20 radio FM stations. Westmont Institute of Technology was started in 2008 as a commercial media training institute offering market driven video recording, non linear editing techniques training. Disheartening, was many enquiries by interested youth student who passed the proficiency test but no funds to enroll. That is why we have decided to help them learn through fee grants from partner philanthropic organizations. Westmont Institute of Technology Director has over 8 years in media productions and training experience using analogue and digital editing and IT training. Core business:	Further learning in the areas of Art, Design, Animation and Multimedia. Training leads to a college diploma in one of eight specialisms. Courses are modeled around the Business and technology Education Council (BTEC) curriculum of edexcel (Part of the London examinations group). Support business:	Consultancy based projects in the fields of 2D and 3D Animation, Web publishing, Authoring interactive CD’s, videography, Sound production, photography, illustration, Desk top publishing, computer aided design and model making. Just to let everyone know. Our brand new site on btec diplomas is due to launch next wednesday.It may be of benefit to those who of you who want to find out more about btecs.